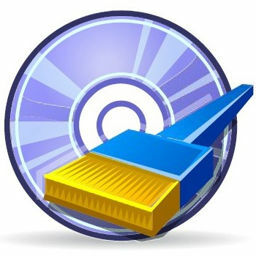 R-Wipe & Clean is a complete R-Tools solution to wipe useless files and maintain your computer privacy. It irretrievably deletes private records of your online and off-line activities, such as temporary Internet files, history, cookies, autocomplete forms and passwords, swap files, recently opened documents lists, Explorer MRU (most recently used) lists, temporary files, and traces from more than 300 third-party applications, thus freeing up your disk space. The utility wipes files and unused disk space using either fast or secure-erase algorithms. All files and folders may be entered in wipe lists to erase them in a single procedure. Supports both the FAT and NTFS file systems. You can combine separate wiping and cleaning tasks and launch them to begin erasing immediately or set them to begin erasing procedures as a background task at predefined times or events. New R-Wipe & Clean supports Windows 10, 8.1, and 8, removes traces from more than 600 third-party applications, including Microsoft Office 2016 and Skype(! ), and supports all recent versions of Microsoft Edge, Internet Explorer, Mozilla/Mozilla Firefox, Opera, Safari, Flock, Netscape, AOL, MSN, Google Chrome, SeaMonkey, BT Yahoo!, Konqueror, and K-Meleon, as well as the Google, Windows Live, Yahoo!, and MSN toolbars.